Yo u know fall is coming when the air starts to feel a bit more chilly and the leaves turn. With the change of the season comes the opportunity to pull out recipes for fall that are cozy and comforting. Whether you're cooking for the holidays or simply want to wow your friends with a new fall recipe, 25 Stupidly Easy Recipes for Fall is your one-stop-shop for all the autumn foods you want. Since fall is a busy time for everyone, these recipes are great to turn to because they don't take long to make and are basically fool-proof. They're so stupidly easy that many of them only require a few ingredients and are as easy as dump and go! 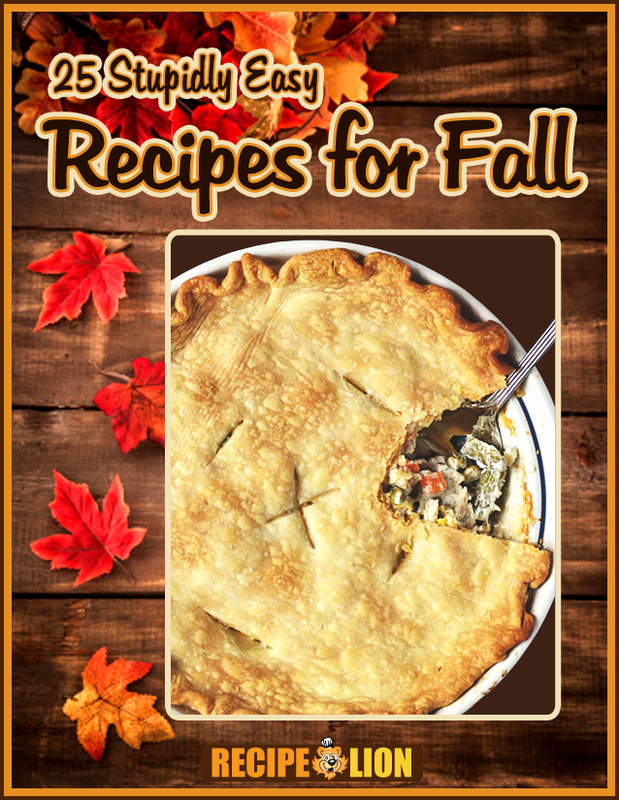 With loads of easy side dish recipes, fall dinner recipes, and great fall dessert recipes, this collection of easy must-makes will become your new go-to list of simple and comforting food. So many fun occasions happen during the fall season, like Halloween, Thanksgiving, football season, and more! No matter what the occasion, fill your table with something delicious. If you are also eager to take advantage of apple and pumpkin season, look no further. Plus don't miss: 22 Easy Thanksgiving Recipes: A Traditional Thanksgiving Menu From RecipeLion free eCookbook! Some of the best recipes for fall are dinner recipes that are warm and comforting. Autumn is the perfect season for pot pies, easy beef recipes, and cheesy casseroles. Since these fall dinner recipes are so easy, you'll get to enjoy a full meal with very little effort. Although they're easy to make, each dish tastes like you spent all day in the kitchen making them. Your whole family will love these comforting dishes - they're classic recipes that have withstood the test of time! Nothing says fall more than apple-flavored Autumn Pork Chops (pg. 10), and the flavor in this recipe is out of this world. If you're a football fan, enjoy Fast Flavorful Homemade Chili (pg. 9) during the game. Once Thanksgiving rolls around, you may be in need of recipes for leftovers. Whether you made a big turkey, or have some leftover chicken, don't throw it out! 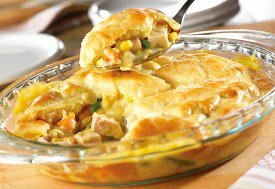 Instead, turn it into a wonderful chicken or turkey pot pie or throw it in a casserole. Whether you're entertaining or simply making a weeknight meal for your family, these fall dinner recipes are a mix of age-old classics and brand new crowd-pleasing dishes. It's finally cool enough outside to be able to sit down and enjoy a piping hot meal, and these are the best of the best. Download your free copy of the 25 Stupidly Easy Recipes for Fall eCookbook here! Fall is a time or entertaining, and these easy side dish recipes will practically steal the show on your dinner table. Oftentimes, side dishes are just an after-thought, but these recipes change that completely. With fall side dish recipes this delicious and easy, you'll be tempted to skip the main dish entirely! Plus, if you've been missing out on piping hot, cheesy side dish casseroles all summer, these are going to taste even better to you. From potato dishes, to green bean casserole, there are recipes here to complement any main dish. 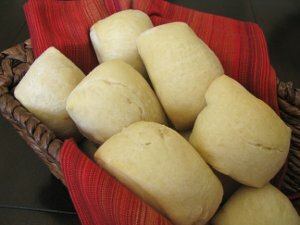 For example, an easy recipe for Make-at-Home Texas Roadhouse Rolls (pg. 16) is one of our best copycat recipes, and you can print it out to use any time you need a delicious restaurant-inspired side. If you're hosting a holiday gathering, bake a big pan of 4-Ingredient Funeral Potatoes (pg. 18) - this side dish recipe makes enough to feed a crowd and it will disappear before your eyes. Start your transition from cold summer sides to creamy, comforting ones with these easy side dish recipes for fall. You won't be able to get enough of them. When apple season is in full swing, nothing's better than easy apple desserts to use up the delicious fruit when it's at its peak of the year. You don't even need to go to the apple orchard to enjoy the amazing combination of apple and cinnamon. The apple dessert recipes included in this collection are diverse enough to cater to any palate, but they all have one thing in common: They're quick, easy, and absolutely unforgettable. For the old-fashioned dessert lovers, you'll find a classic Brown Paper Bag Apple Pie (pg. 26) recipe that's better than any you've had before. Not only is it delicious, but this baking method turns out perfect every single time. 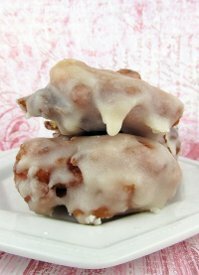 If you're more of a fan of Easy Glazed Apple Fritters (pg. 35) or cookies, this list includes some of the easiest and best tasting ones around. To give you a taste of what you'll find, one recipe for Caramel Apple Cider Cookies (pg. 30) includes a gooey caramel center! If you're going to a social gathering, the Apple Harvest Cake (pg. 28) recipe is great because it's a step up from run-of-the-mill flavors of most cakes. Or, if you just have a hankering for an easy sweet treat, these are sure to satisfy your sweet tooth. Perhaps you're one of those people who would rather skip right over apple season and make nothing but pumpkin dessert recipes. Fall is the season for all things pumpkin, and when October finally comes, there's nothing better than indulging in the flavor you've missed all year. 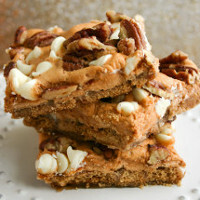 These easy pumpkin recipes include wacky recipe creations like Pumpkin S'mores Cracker Candy (pg. 38) pictured above, as well as the more traditional desserts everyone loves. Pumpkin recipes are some of the absolute easiest of all recipes for fall because you can bake with canned pumpkin and it tastes just as good as fresh. Plus, baking with pumpkin makes your dessert super moist and adds natural sweetness. Especially around Halloween time when pumpkins are all the rage, you're going to want these dessert recipes on hand. Portable bars are perfect to take on-the-go if you are attending a party or potluck. Or, if you're hosting a holiday dinner, whip up a Double Layer Pumpkin Pie (pg. 40) - it's an even better version of the traditional favorite. No matter what kind of desserts you prefer, pumpkin-flavored anything just tastes like fall (in such a good way). Hungry for more? Don't miss our full collection of Favorite Fall Recipes! Don't miss out on any of these amazing recipes for fall. Click on the link below to download your own personal free printable recipe collection. It's that easy! To view and download the complete collection of free RecipeLion eCookbooks, click here. 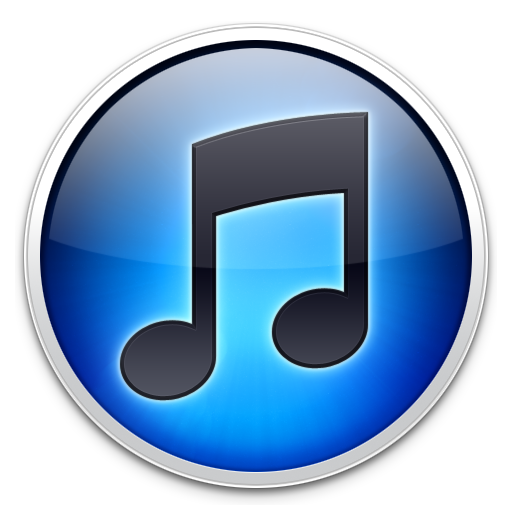 This eCookbook is available in the iTunes store! Download to read with iBooks, on your Mac or iOS device, or with iTunes on your computer. I am super excited about this collection of 25 easy recipes for Fall (what we call Autumn in South Africa). As a busy Mom of 4 children, and their dad [who's the biggest child of them all :)) ] the easier the weeknight meals are to prepare the happier I am and I just know that this little book is going to make me very happy indeed! Thank you! I love trying new things! Wow just in time for me to practice for the holidays. I look forward to trying a lot of the recipes through out the year. These recipes look fantastic. Can't wait to try them.